“Home of Industrial Pioneers”: This is the leading theme of this year’s Hannover Messe (Germany). From 1- 5 April 2019 everything here will revolve around the digital networking of human and machine in the age of artificial intelligence. 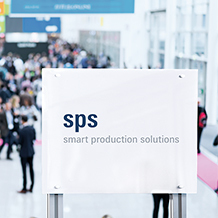 In this edition of the newsletter you can find out more about the highlights on our stand and the product innovations that await you in Hannover. You don't have a ticket yet? Then secure your free entrance ticket for the world's leading industrial trade fair now! Benefit from our international compliance service – NR-12! We provide support en route to NR-12-compliant machines, opening up access to the Brazilian market worldwide. Why not find out more, now! Safety in Every Dimension: Meet Pilz at SPS IPC Drives 2017! SPS IPC Drives runs from 28-30 November 2017. Under the motto “Safety in Every Dimension”, this year our stand places the spotlight on safe 2D and 3D sensor technology. Find out more now about what awaits you in Nuremberg! At SPS IPC Drives, from 27.-29. 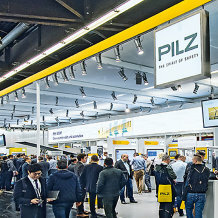 November 2018, everything at Pilz revolves around products and solutions for safe sensor technology. The highlight of this year's exhibition is the Pilz Smart Factory: Experience safe sensor technology wholly in the spirit of Industrie 4.0! 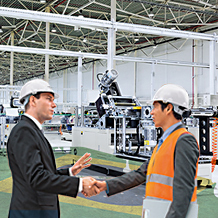 As a visitor, you can also interact with the new service robotics modules at the Smart Factory. Find out now what else you can expect in Nuremberg!